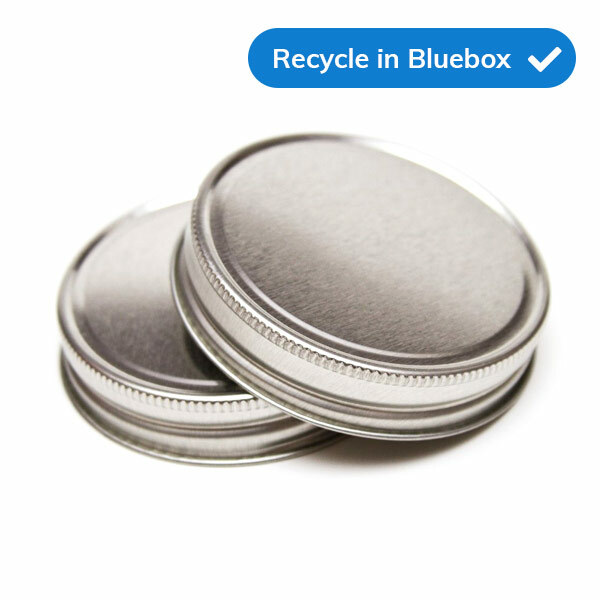 All metal caps and lids are recyclable. Take metal lids off of glass jars. Leave metal lids from cans inside the can and pinch the top to protect our employees from cuts. Plastic yogurt or margarine tub lids and deli lids larger than 3" are recyclable. Recycle in your blue box or wheelie bin. Coffee cup lids and brittle drink cup lids and any plastic caps and lids smaller than 3” should be disposed of as garbage.